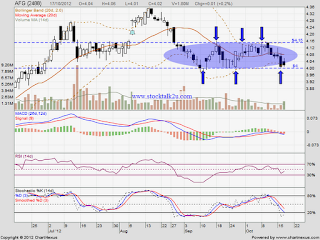 AFG retest RM4 psychology support level. Will it rebound or break down this support? If break down psychology support, subsequent support would be MA200 level. However, if rebound, MA20 would be immediate resistance. 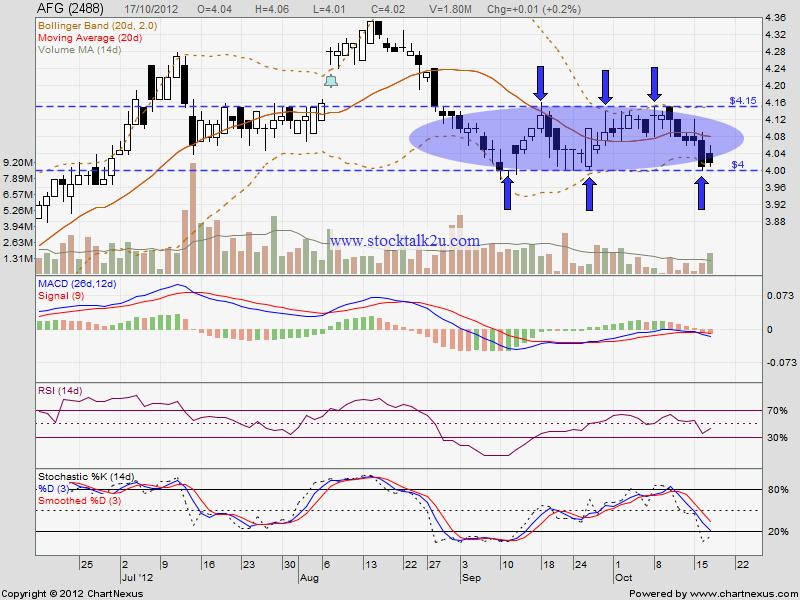 Subsequent resistance @ MA50, which is RM4.15 level.